A few months back we announced a partnership with Unity. This makes it easier for game developers to use the rich capabilities of the Visual Studio IDE for building Unity games and to discover the tools for Unity from within Visual Studio. If you don’t already know about the Visual Studio Tools for Unity, check out the Visual Studio Tools for Unity page on visualstudio.com. With the release of Unity 5.2 (Unity’s blog post announcing Unity 5.2) and Visual Studio Tools for Unity 2.1 today, we’re really excited to share with you some of the results of this partnership. Starting with Unity 5.2, Unity’s installer on Windows will offer to install by default the free Visual Studio Community 2015 and the Visual Studio 2015 Tools for Unity. In just a few clicks, you’ll have everything set up for you to use the rich capabilities of Visual Studio to write and debug your Unity game. 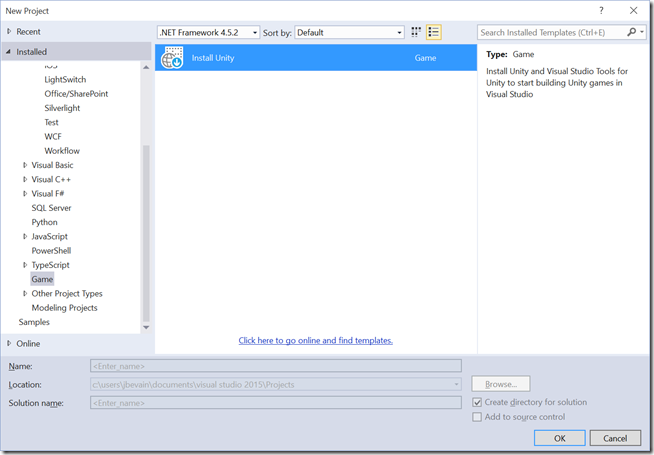 Unity 5.2 natively supports the Visual Studio Tools for Unity. Gone are the days where you needed to import the VSTU Unity Package into each and every new Unity project! Unity will automatically pick up VSTU where it is installed. Scripts will open directly into Visual Studio where you’ll be able to write and debug your Unity game. The VSTU team worked closely with the Unity team to develop a smooth integration between the two tools. Everything just falls right into place: no package to import, no extra menu to learn, no extra configuration to figure out, and a single set of solution and project files. 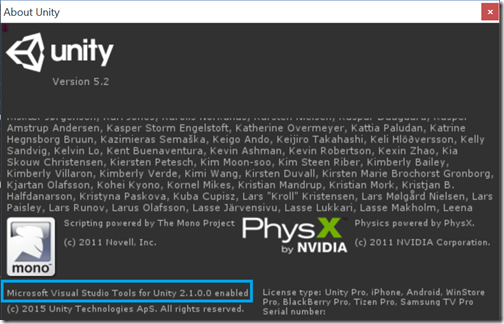 Everything just works out of the box when Visual Studio is set to be Unity’s script editor and VSTU is installed. If you have Visual Studio 2015 and you are interested in writing cross platform games with Unity using C#, we added a new project template that will install Unity and the Visual Studio Tools for Unity for you. Launching the template will start the Visual Studio installer and install everything that is needed for you to get started working with Unity along with your favorite IDE. While everything is being set-up, I encourage you to check out this session from this year’s BUILD: Building Universal Windows Games with Unity. Today we release the Visual Studio Tools for Unity 2.1, an update from VSTU 2.0 that we shipped in July, and that supports everything required for the native VSTU support to work in Unity 5.2. Unity 5.2 requires existing VSTU users to update to 2.1. Please make sure to update VSTU and to read our documentation on the changes introduced by Unity 5.2 and VSTU 2.1. We used this opportunity to release a few important bug fixes as well, you can find the complete list in the changelog for VSTU 2.1. As always, if you have any suggestion for VSTU, please post them on UserVoice, and if you encounter any issue please report it through the Visual Studio Connect site. Jb runs the Visual Studio Tools for Unity experience for the Visual Studio Platform team. He joined Microsoft last year as part of the acquisition of SyntaxTree, a company he founded and where he led the development of UnityVS. 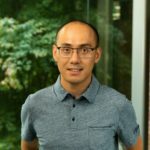 He has a passion for developer tools and programming languages, and has been working in developer technologies for over the last decade.